Fidel Castro, who led his bearded rebels to victorious revolution in 1959, embraced Soviet-style communism and defied the power of 10 U.S. presidents during his half-century of rule in Cuba, has died. He was 90 years old. 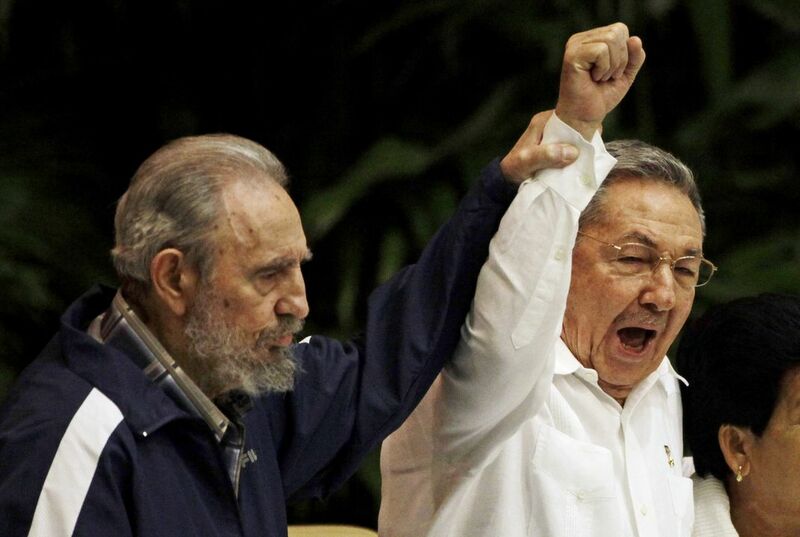 With a shaking voice, President Raul Castro said on state television that his older brother died Nov. 25. He ended the announcement by shouting the revolutionary slogan: "Toward victory, always!" Castro's reign over the island nation 90 miles from Florida was marked by the U.S.-backed Bay of Pigs invasion in 1961. It was also marked by the Cuban Missile Crisis a year later. That event brought the world to the brink of nuclear war. 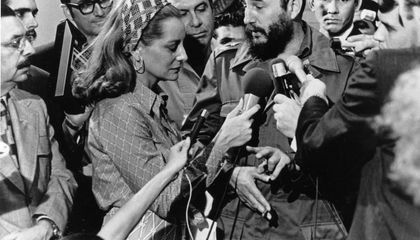 Castro, who outlasted a crippling U.S. trade embargo as well as dozens, possibly hundreds, of assassination plots, died 10 years after a life-threatening illness. It led him to turn over power to his brother. Castro's commitment to socialism was unwavering. His power finally began to fade in mid-2006. That is when a gastrointestinal ailment forced him to hand over the presidency to Raul in 2008. Castro's defiant image lingered long after he gave up his trademark Cohiba cigars for health reasons and his tall frame grew stooped. "Socialism or death" remained Castro's rallying cry. This was even as Western-style democracy swept the globe. Communist regimes in China and Vietnam embraced capitalism. That left the island nation of Cuba, with its 11 million people, economically crippled. He survived long enough to see his brother negotiate an opening with U.S. President Barack Obama on Dec. 17, 2014. That is when Washington and Havana announced they would move to restore diplomatic ties. They were severed in 1961. Castro cautiously blessed the historic deal with his lifelong enemy. He did it in a letter published after a month-long silence. Obama made a historic visit to Havana in March 2016. Raul has announced plans to retire as president. He has said he would retire when his term ends. That is scheduled Feb. 24, 2018. Vice President Miguel Diaz-Canel, a relatively younger leader, is seen as a possible successor. Raul has said he would stay on as head of the Communist Party. But the news cheered the community of Cuban exiles in Florida. They had had fled Castro's government. Thousands gathered in the streets in Miami's Little Havana. Cars honked horns. Police blocked off streets. Alex Ferran, 21, headed toward the gathering. He was beside himself with excitement. "We're here to celebrate. This is history in the making," Ferran said. "This is insane, dude. Someone died and there's a parade. This could only happen here." Obama said that the United States extended "a hand of friendship to the Cuban people." He added that, "history will record and judge the enormous impact of this singular figure on the people and world around him." Obama said that in the coming days, Cubans "will recall the past and also look to the future. As they do, the Cuban people must know that they have a friend and partner" in America. President-elect Donald Trump called Castro "a brutal dictator who oppressed his own people for nearly six decades." He said he hoped the death would clear the way "toward a future in which the wonderful Cuban people finally live in the freedom they so richly deserve." Cuba's government announced that Castro's ashes would be interred on Dec. 4 in the eastern city of Santiago. It was a birthplace of his revolution. That will follow more than a week of honors. What makes Cuba so important to the U.S.? Something that makes Cuba important to the U.S. is that they had govener that really showed his love and care for thw world and his people and family understand what happened and celebrated him for his death because he showed love to people!Thats something that really interseted me into liking history a lot.I wonder what Cuba will do for there new govener or are they getting a new govener? It is crazy to think that only ten years ago, Castro stepped down from power. I find it amazing that he lasted this long. After so many attempts on his life from his own people to the United Stated, one has to wonder just how many body doubles of his were killed....or was this most recent Fidel not the real one? that would be sad if our president died oh wait I forgot it was Trump. yu should really read this it is a good article. Fidel Castro died at 90 years old. His younger brother, Raul Castro, said to public television that Fidel died on Nov. 25, 2016. He outlasted hundreds of assassination plots, and a crippling U.S. trade embargo, and he died 10 years after a life-threatening illness. It was a very good story because it is about a person life. It was about a person life that died in Cuba cause a illness. It was a good story. It's always sad when someone dies. I'm surprised he lived to be 90 but that's good.